Today I was sent a device for the purpose of this review. 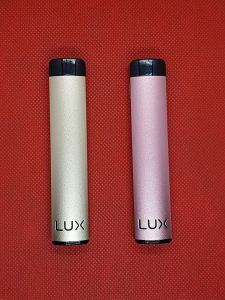 From Wellon Tech, I have the LUX refillable pod system. A relative newcomer to the vape scene, I’ve never heard of Wellon Tech before. So I was very interested in their refillable system. 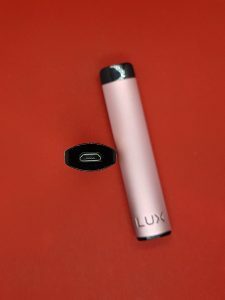 The LUX is smaller than all other pod systems I’ve used to date, but boasts a very healthy 450mAh battery. Also boasting ceramic wicking in the pods, Which means they should last a long time. Initially out of the box, the LUX is a pretty good looking, simple unit. a formed aluminum body, with a plastic end on the bottom where the USB port for charging. This dealt with one of my biggest problems that I had with the Vladdin, no sharp edges. Included in the kit, are two sealed pods, and a USB charging cable. 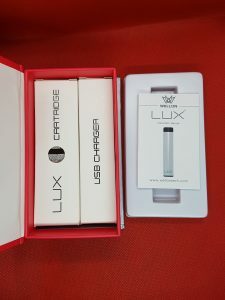 I found charging the LUX very quick, however anything with a sub 500mAh battery will charge fairly fast. The pods are easy to refill, and seem to use a combo of pressure fitting (like the STLTH) and magnets (like the Vladdin). This means the pods are very secure, and I’m able to pull the top cap off to refill them with no problem (while the pod is still attached to the unit). One of features of the pod is a see through window on the sides, which allows you to see your juice level. However, It would have been nice if the LED indicator was directed into this window or through it, as seeing the juice level can be a pain without a good external light source. The unit also has 3 stages to the LED. Full charge, half charge, and depleted a good indicator and visible while vaping (its the entire LUX cutout on the front of the unit). 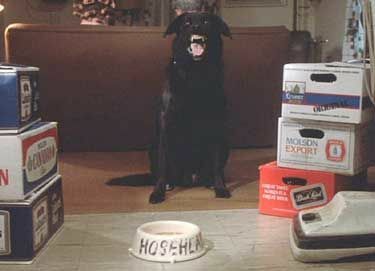 Now how does the LUX perform? Pretty well! 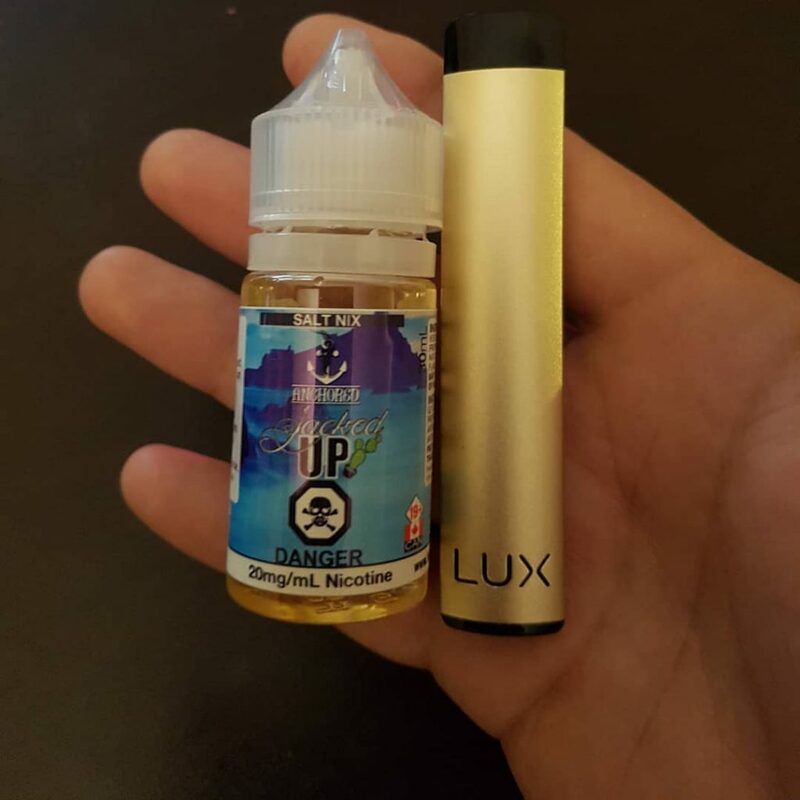 It’s draw activated like many different pod systems, however I found the draw to be slightly looser than the competitors, I find myself using 20-25MG juice only in the lux because its more of a restricted lung hit for me, and any higher would be a little too much. 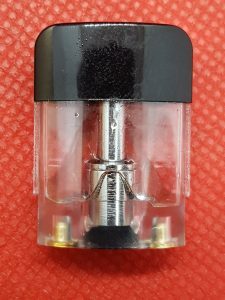 Wellon has told me there are different caps available to tighten the draw, however they are coming standard with their Cannabis version of the LUX (ment for CBD and other oils). 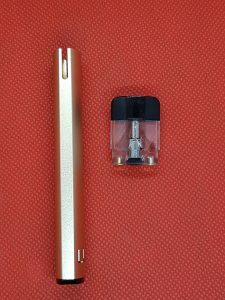 So I don’t know if they will be available strictly for the vaping market that want a tighter MTL draw. At a price point of about $32CAD, Its not a bad little pod system at all. Very comfortable to use, great battery life, good quality refillable pods, and the kit comes with two refillables, instead of just one like many more expensive competitors (looking at you Sourin) Also having the smallest footprint out of any pod system to date, makes it great for travelling or driving. 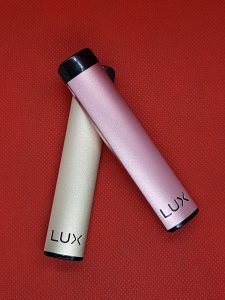 The biggest issue with the LUX is its availability, its not really available locally, only online from the US or China. The first site I found with stock is https://www.vaporliving.com/collections/hot-new-devices/products/lux-vape-pen-kit-by-wellon-4-colors Same for the pods themselves, I’ve only found them available from heavens gifts at $25CAD for a pack of four or again from Vaporliving for $20CAD per pack of four https://www.vaporliving.com/collections/accessories/products/pre-order-lux-4-pack-replacement-coils-and-pods . Hopefully, distribution picks up in Canada, because I think this device is right up a lot of peoples alley for convenience, style, cost, and performance. 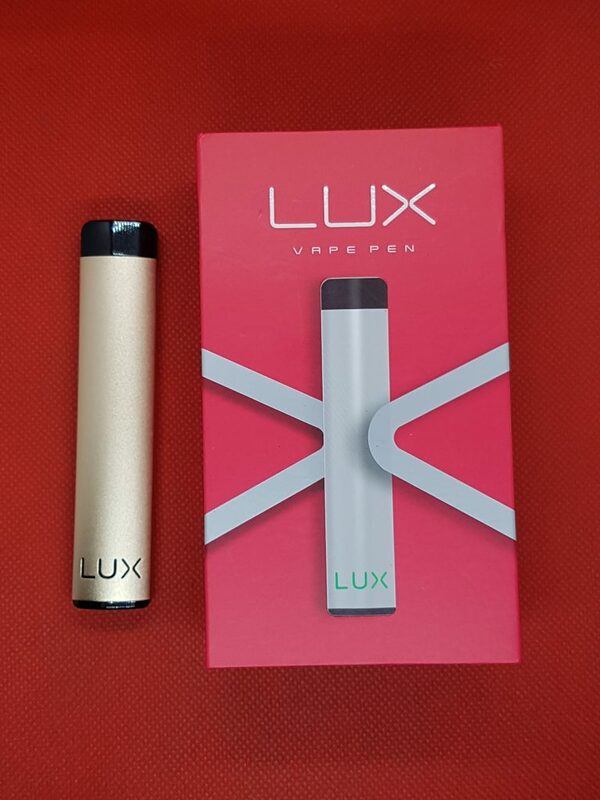 I would have no problems recommending the LUX once its distribution gets sorted out, but until then, Only vapers who are comfortable and experienced with buying from China should seriously look at picking one up.